Living a Fit and Full Life: The Shark® Rotator® Powered Lift-Away™ Vacuum Takes Spring Cleaning to a Whole New Level! The Shark® Rotator® Powered Lift-Away™ Vacuum Takes Spring Cleaning to a Whole New Level! 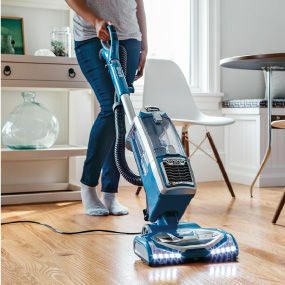 With just a push of a button, the Shark® Rotator® instantly transforms into a Powered Lift-Away™ Vacuum extending the reach of the motorized cleaning head. Deep clean around, behind, and under many hard-to-reach areas in your home! The NEW Shark® Rotator® Powered Lift-Away™ vacuum is an upright with advanced swivel steering and powerful No Loss of Suction Technology. Easily clean and maneuver around furniture and tight corners. Lift-Away® function provides premium above-floor cleaning capability. he patented innovation of Shark® Powered Lift-Away™ technology takes the cleaning power of the Rotator® almost anywhere dirt tries to hide. Advanced swivel steering around planters & furniture, under beds, coffee tables, couches, and more! 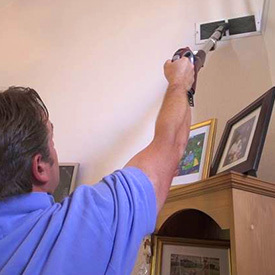 The Shark® Rotator® Powered Lift-Away™ Vacuum Takes Spring Cleaning to a Whole New Level! I absolutely love how easy this vacuum is to use. I have stairs in my home and never have I used a vacuum that made stair cleaning so easy. I can vacuum the stairs and their corners with ease. 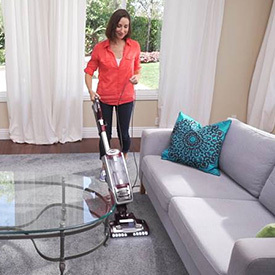 The Shark® Rotator® Powered Lift-Away™ Vacuum also makes cleaning under couches and beds a breeze. Simply use the lift away function and you can literally vacuum just about anywhere. I was also completely blown away at the amount of dirt in the canister since I thought my carpets were already clean. I love how light this vacuum is and how easy it is to maneuver around furniture. I usually vacuum while holding my 1 year old so having a vacuum that is light and moves with ease is a must. 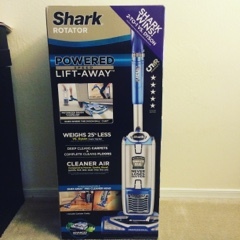 The Shark® Rotator® Powered Lift-Away™ Vacuum is awesome and has made my floors look and feel cleaner than ever! This vacuum is perfect for spring cleaning since you can vacuum just about anything anywhere! 10 Items to Clean with Your Vacuum for the Ultimate Clean Home this Spring! Excellent post i am using this vacuum cleaner from last few months i never face any kind of problem from the date of the purchase it.